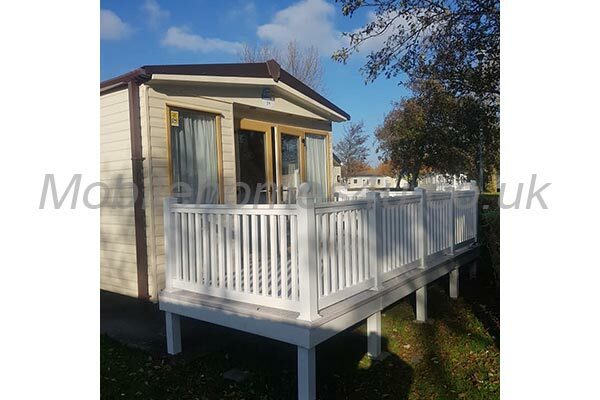 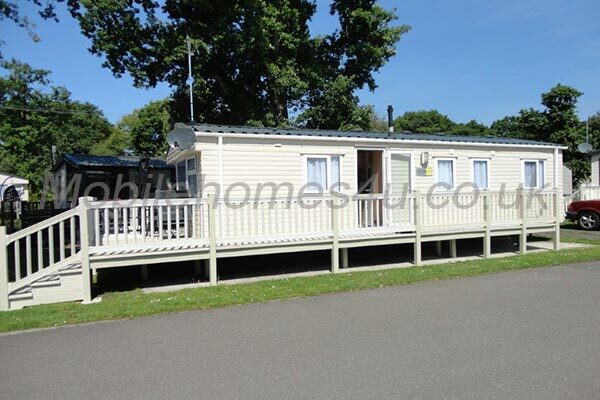 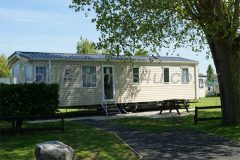 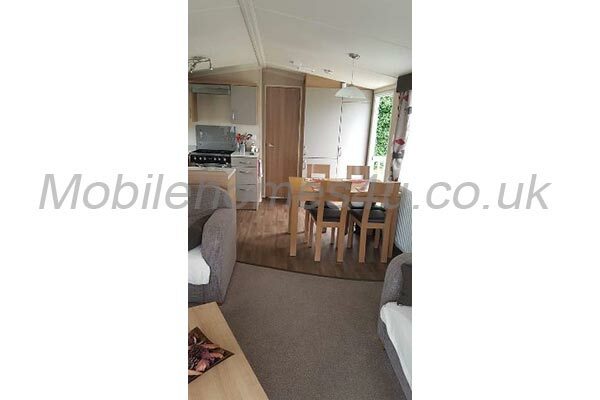 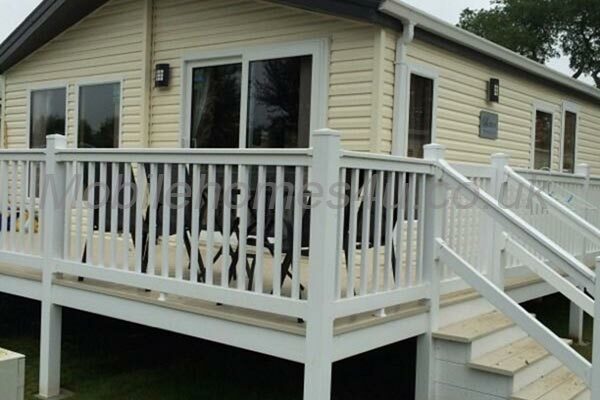 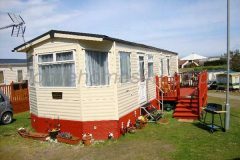 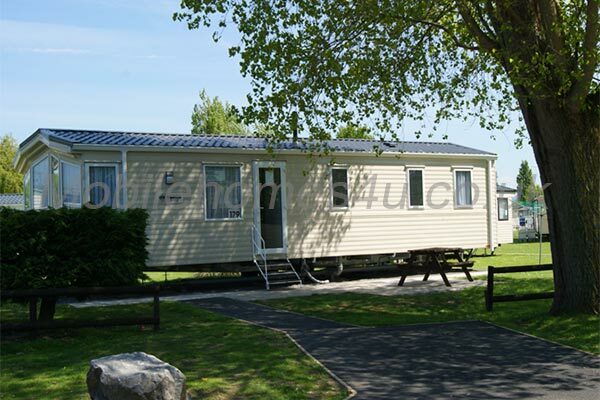 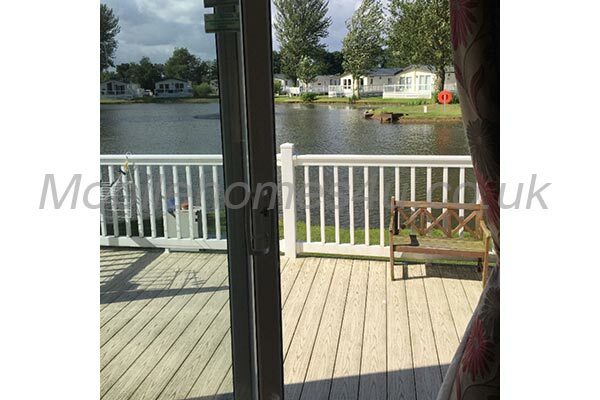 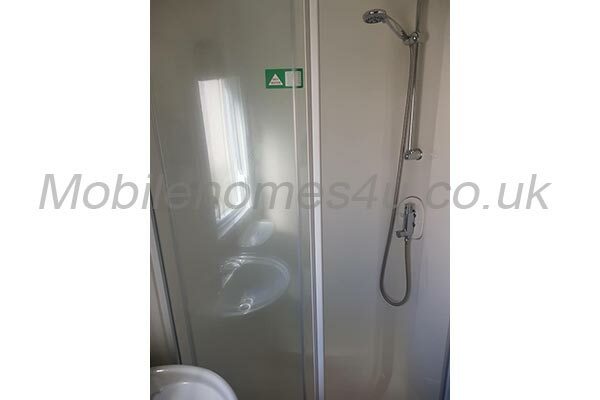 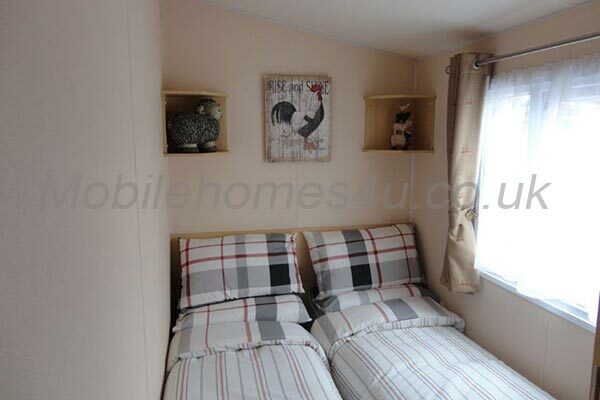 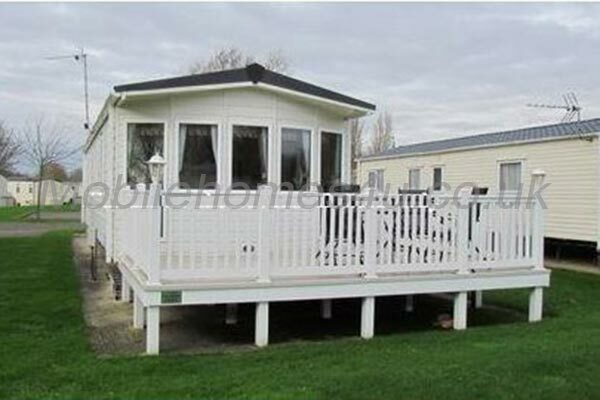 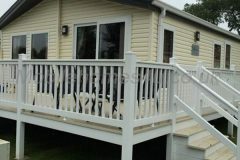 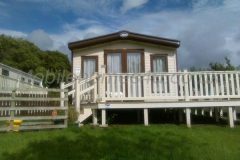 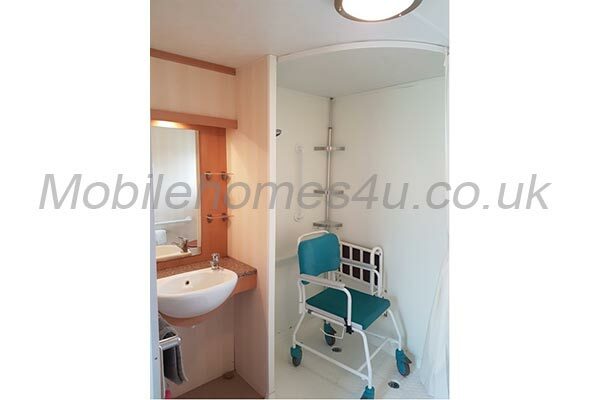 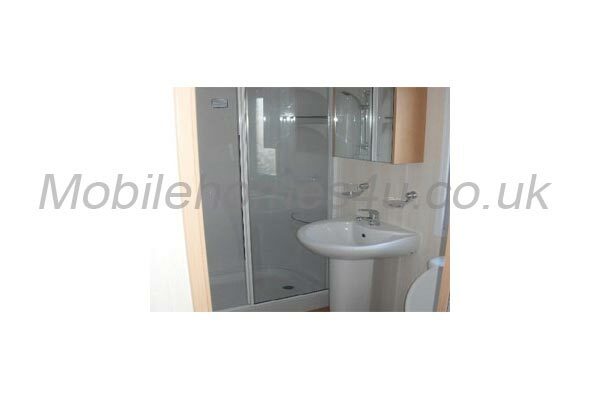 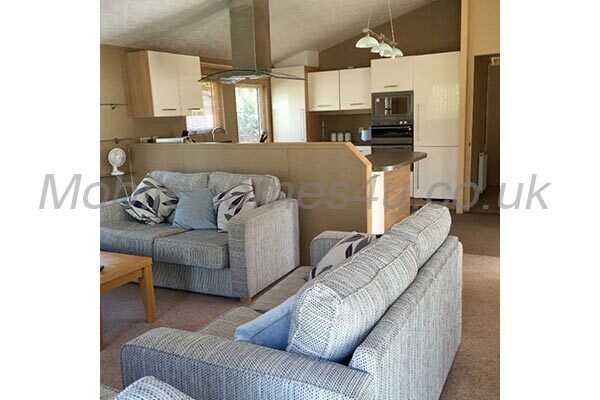 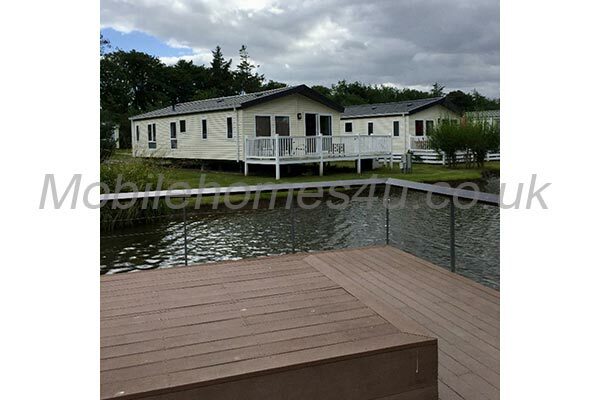 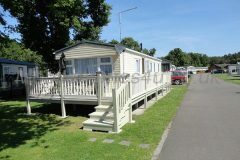 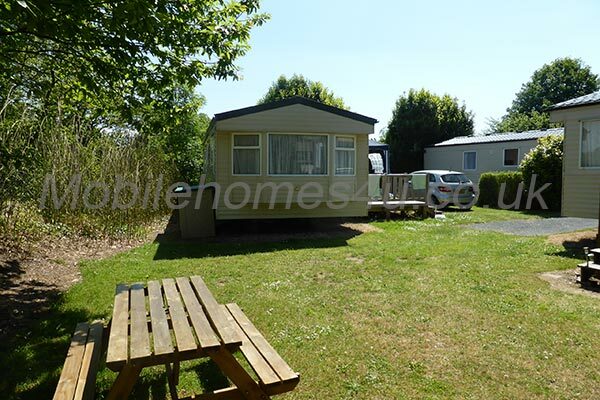 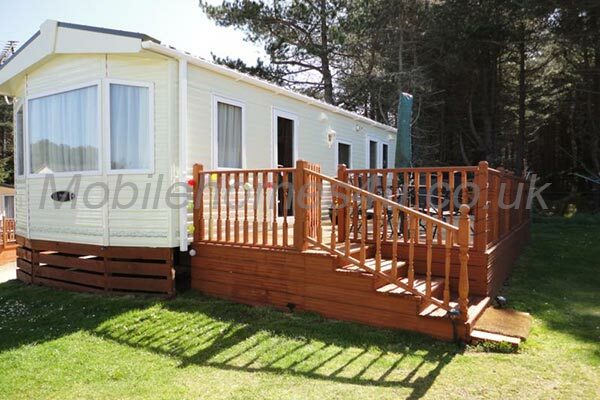 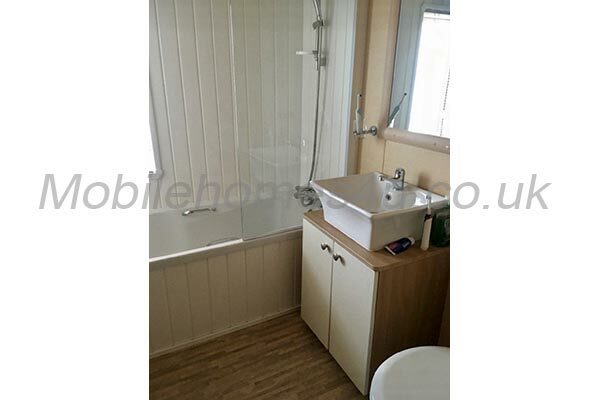 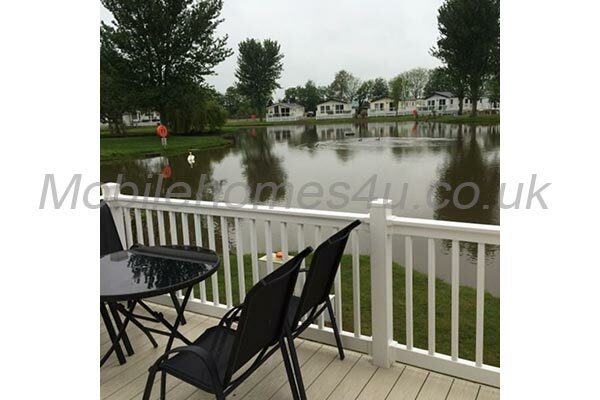 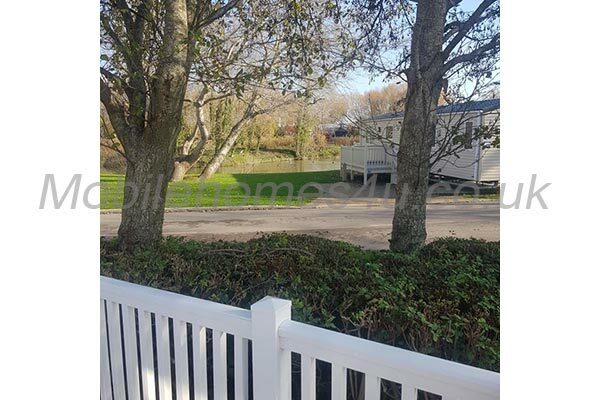 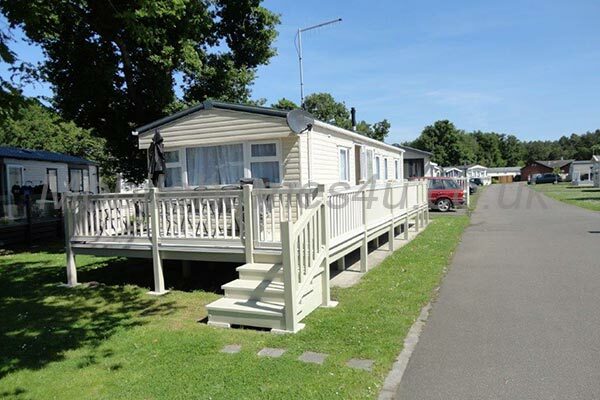 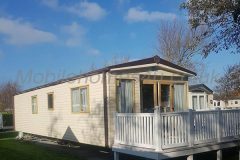 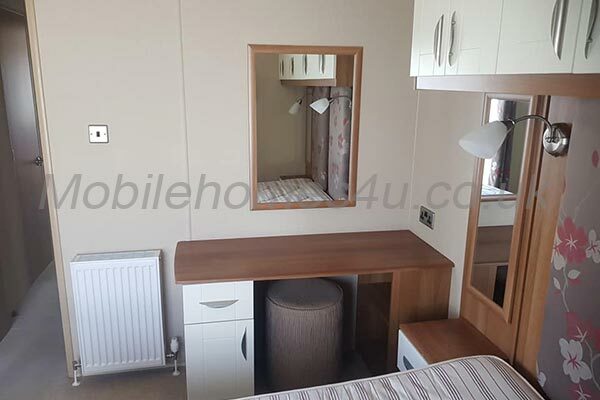 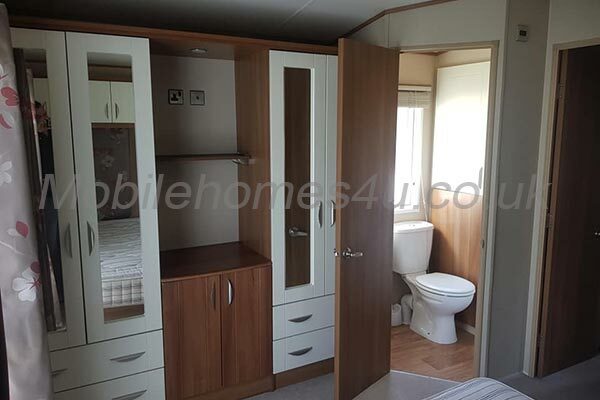 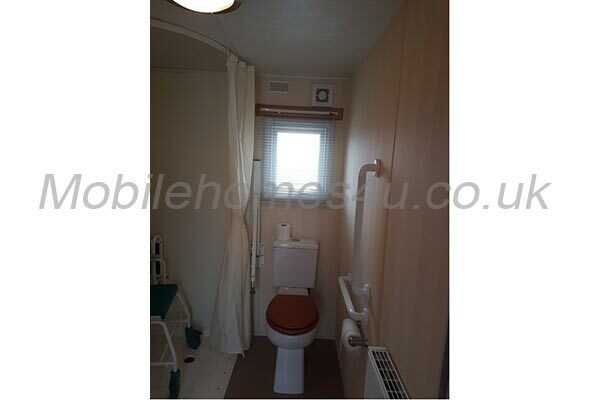 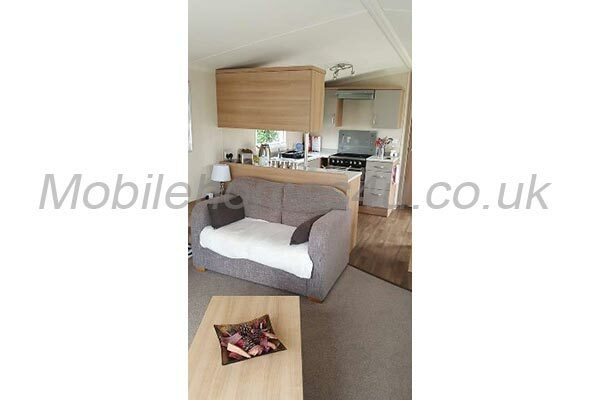 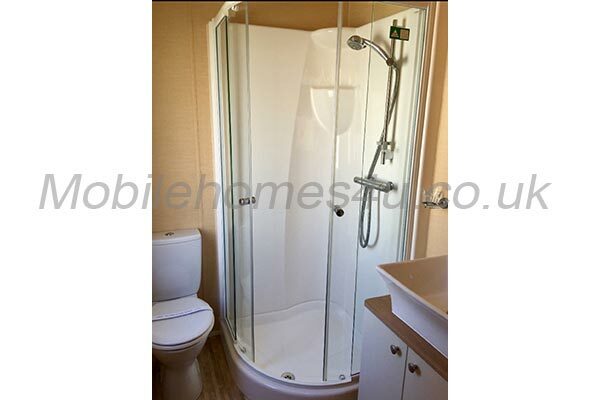 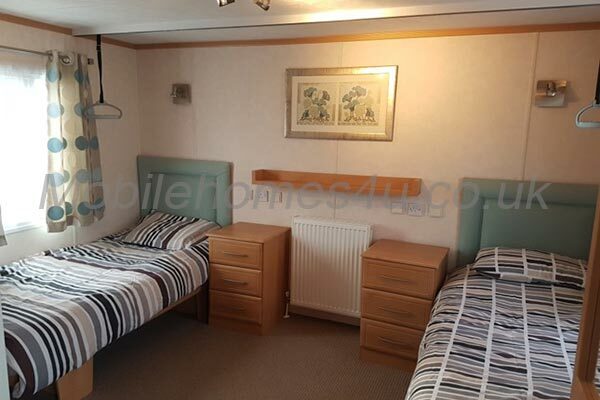 Private 2 bedroomed caravan for hire at Hoburne Cotswold Holiday Park near to Cirencester, Gloucestershire. 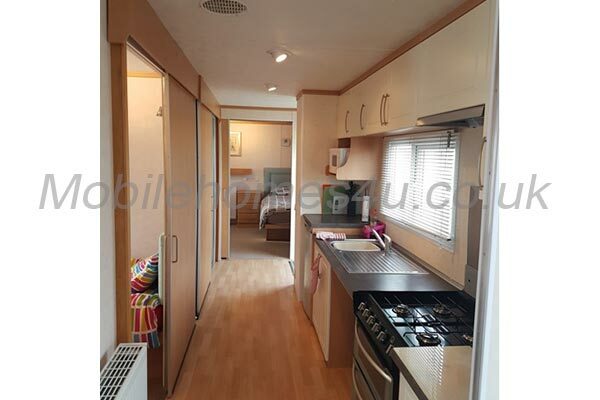 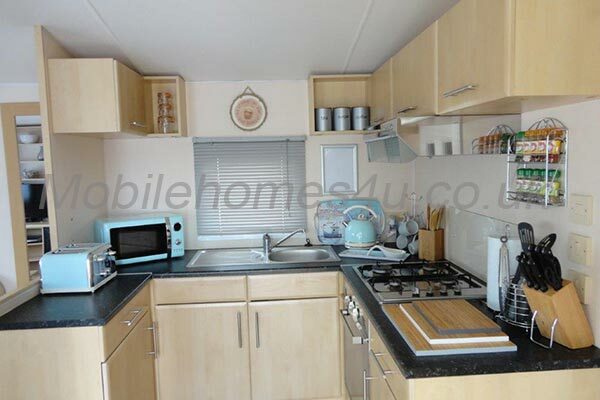 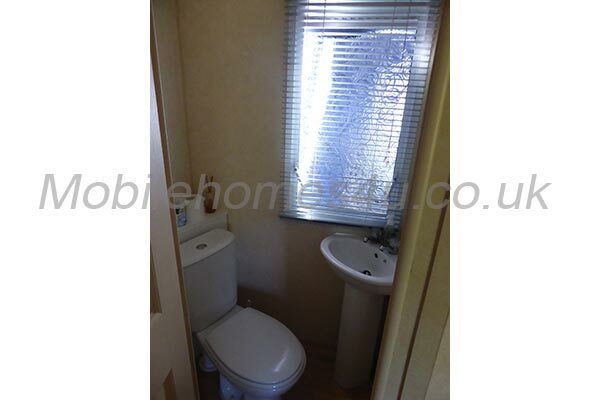 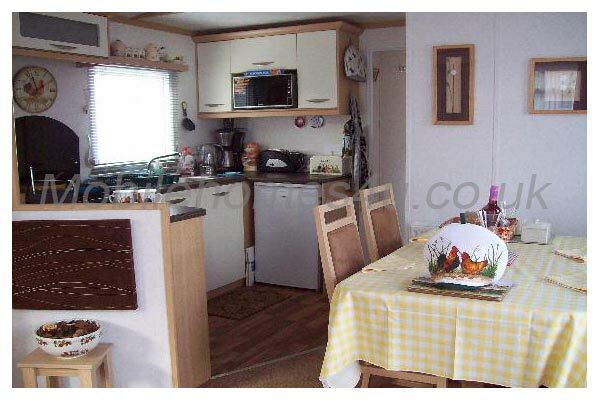 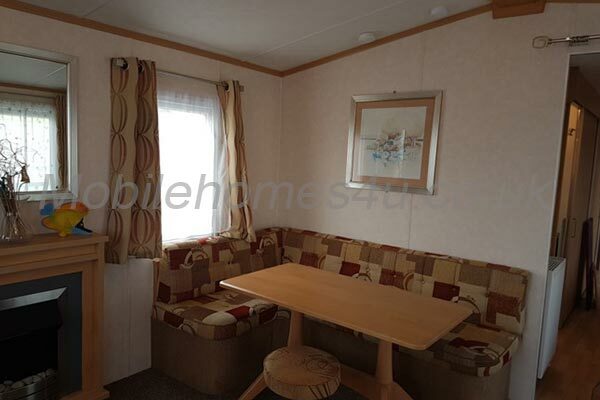 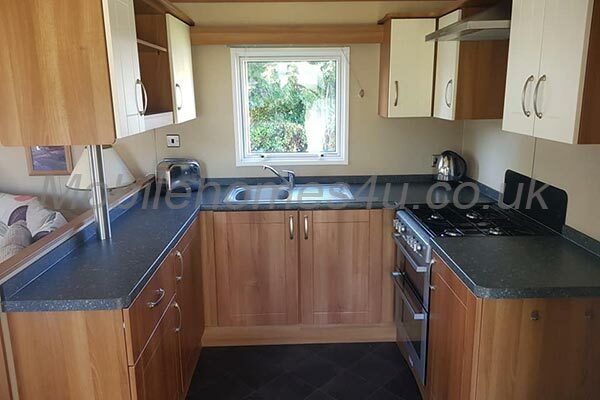 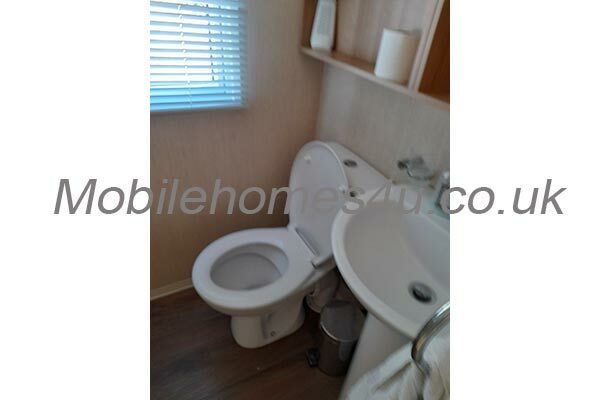 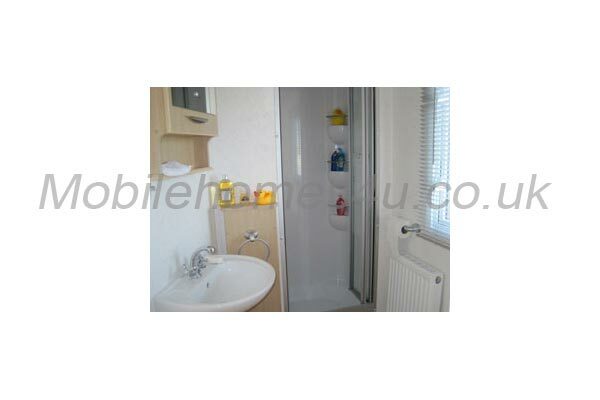 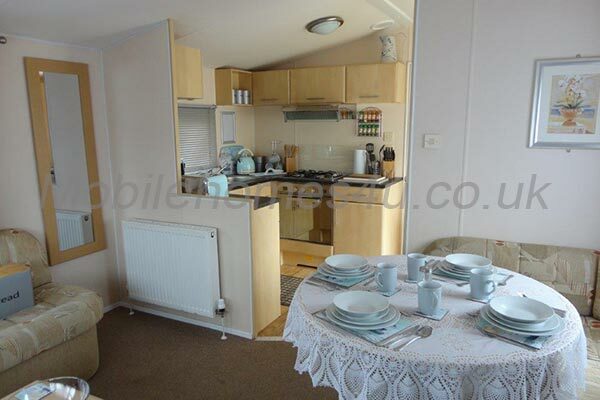 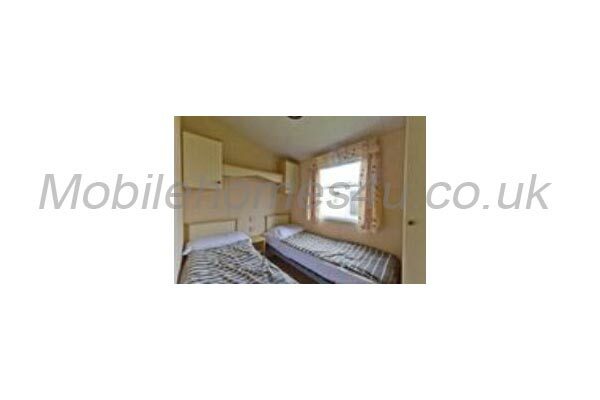 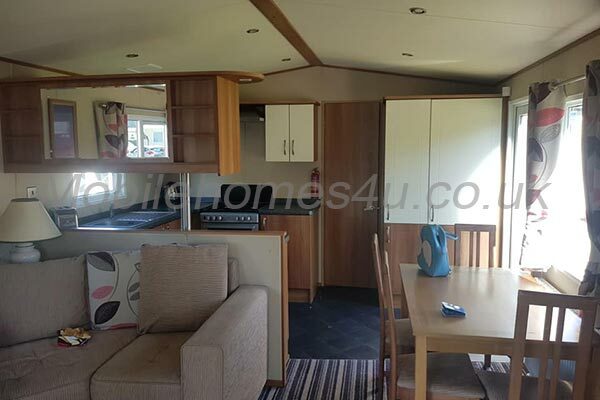 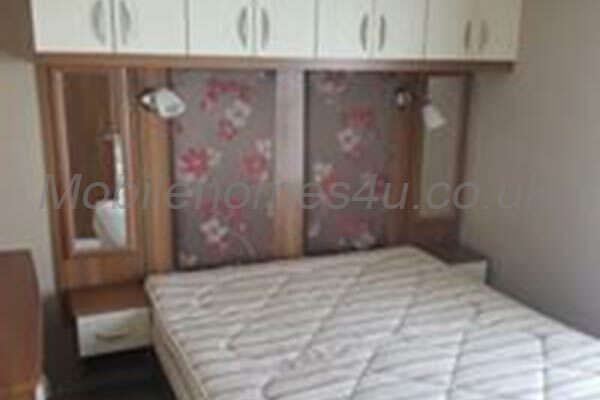 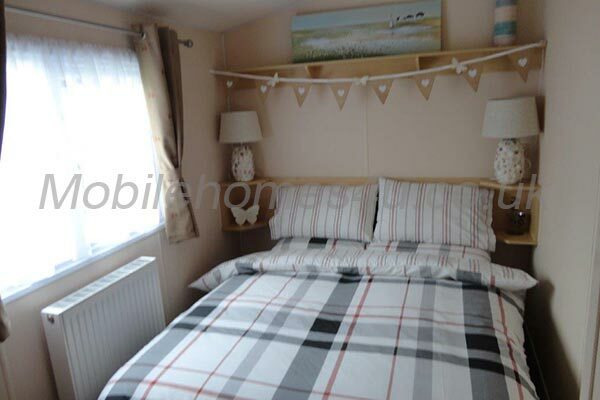 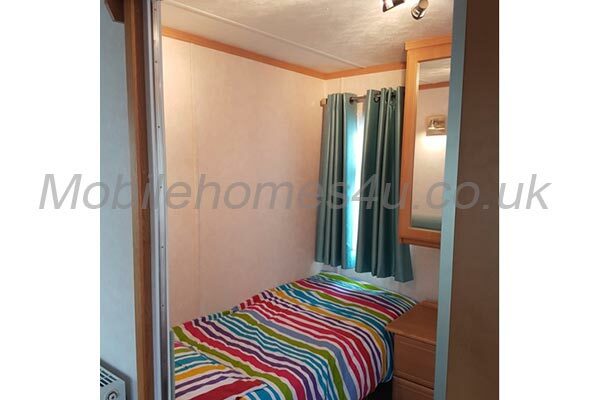 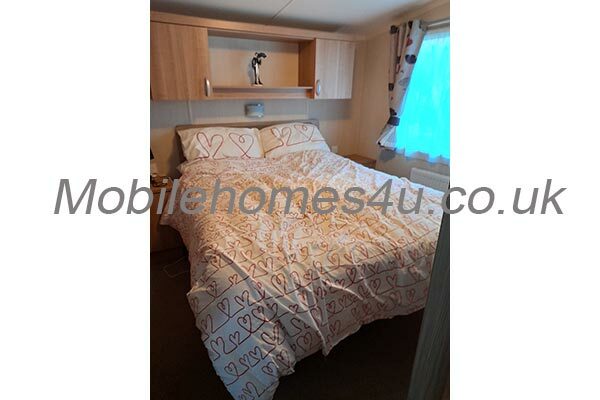 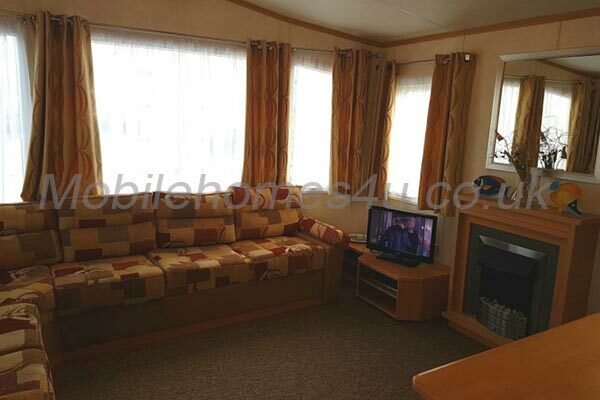 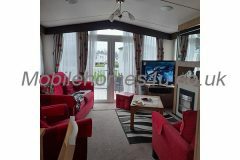 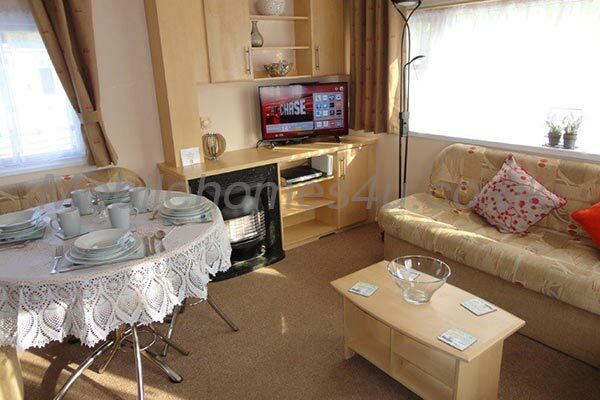 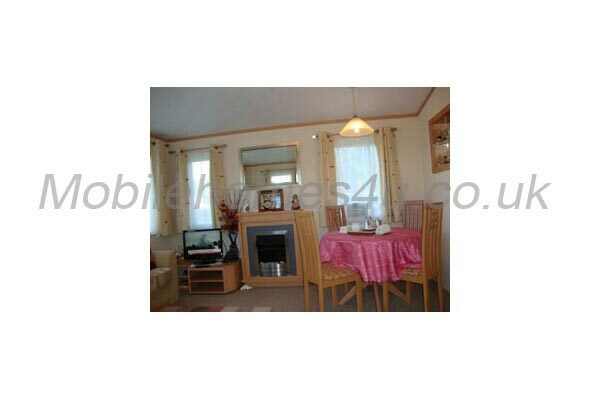 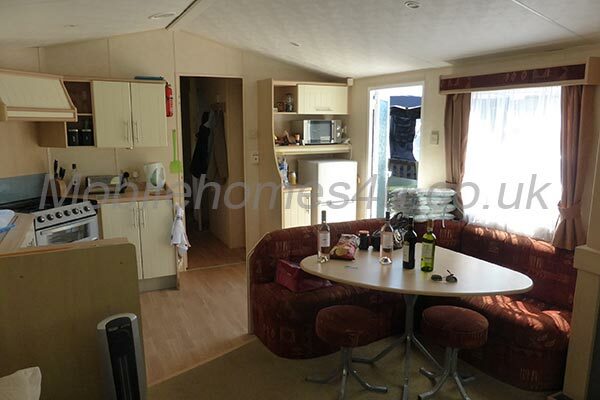 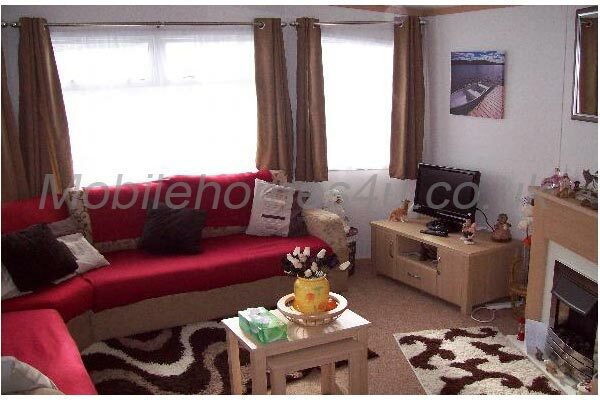 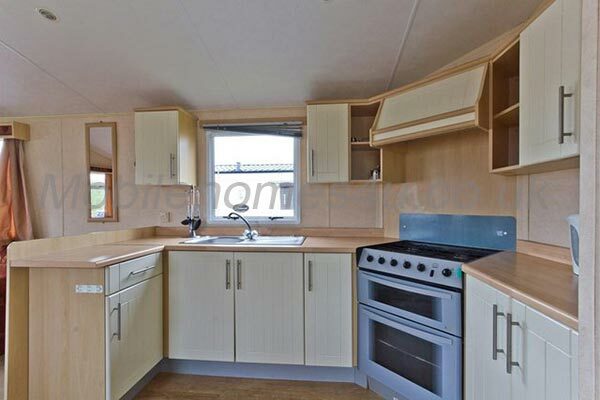 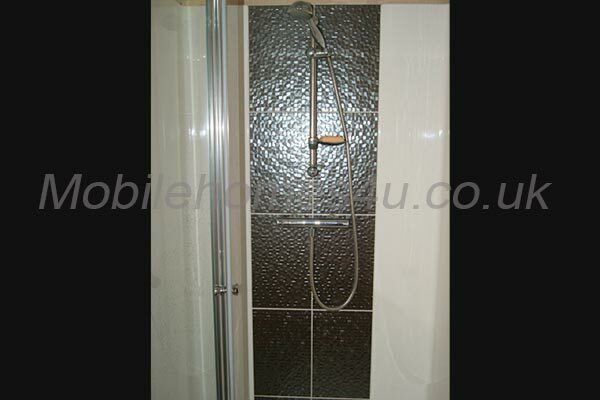 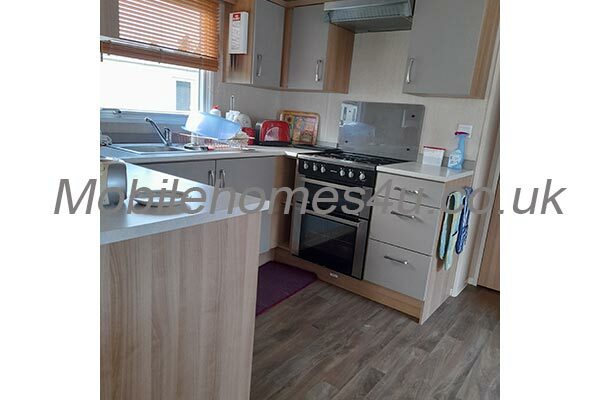 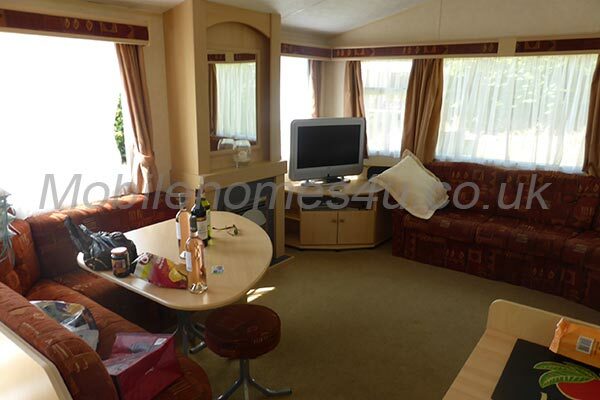 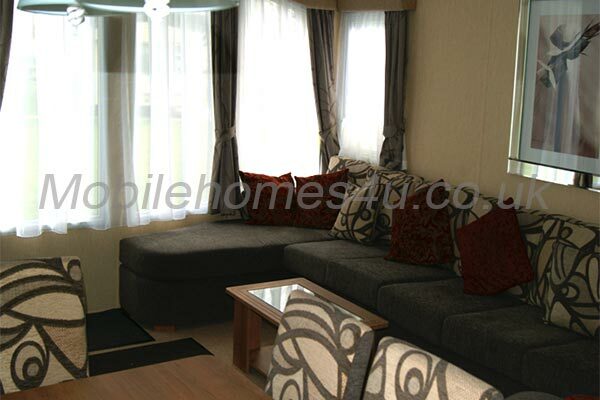 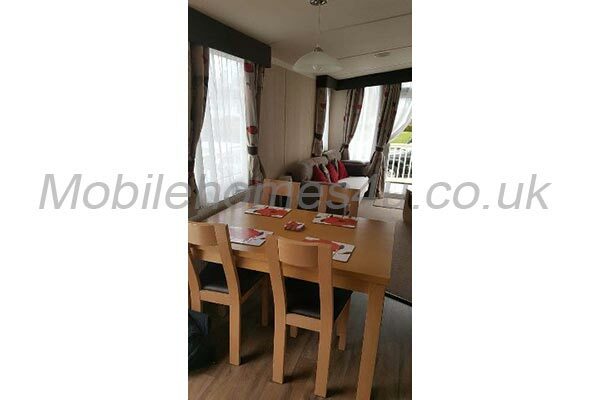 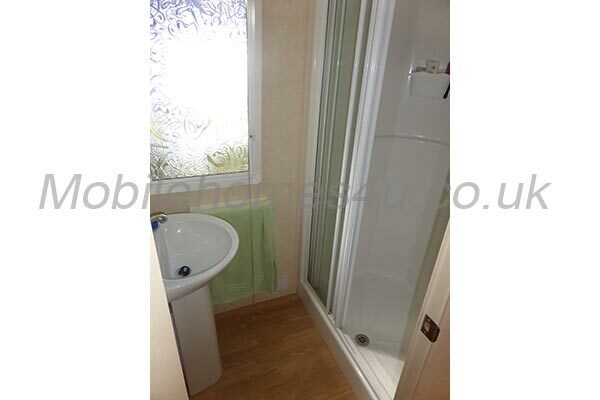 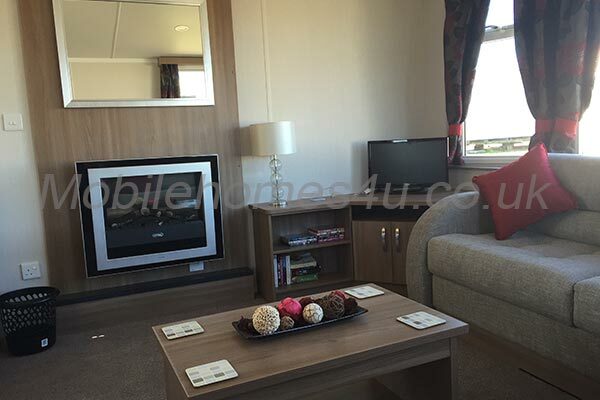 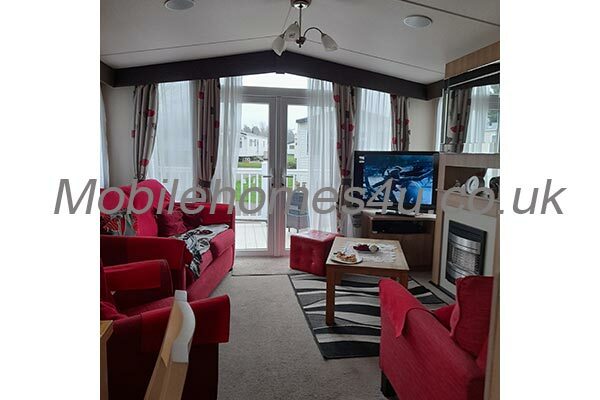 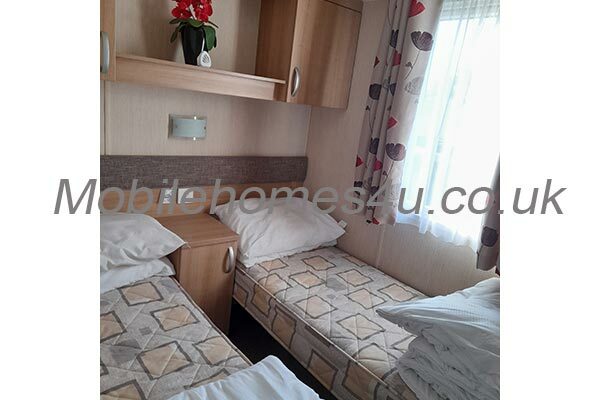 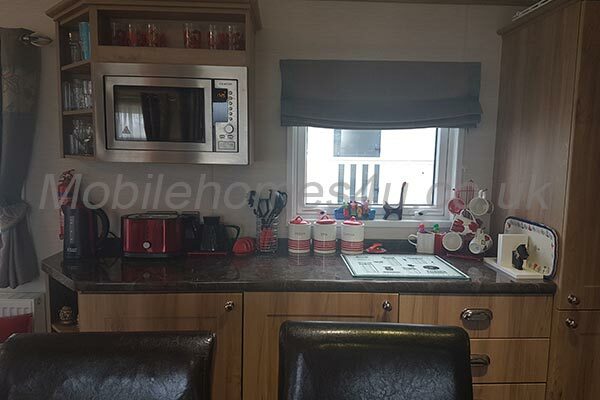 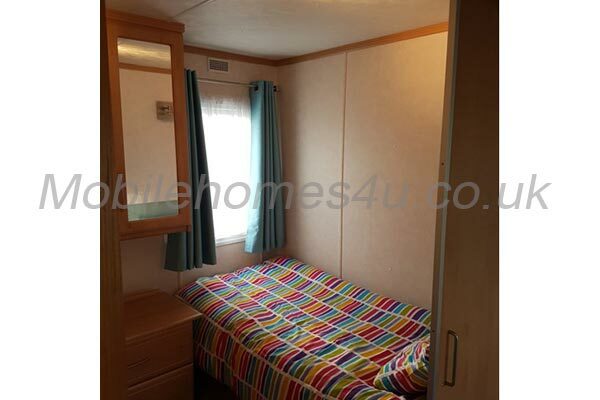 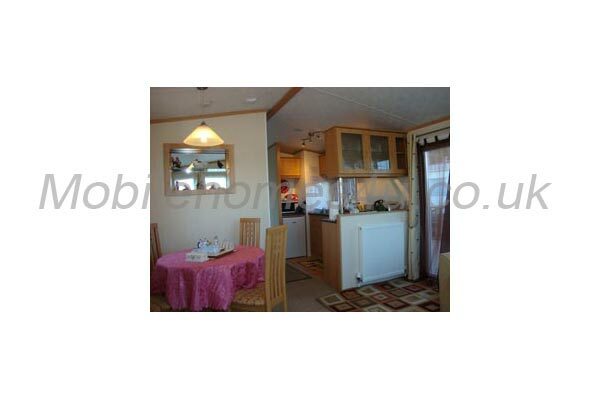 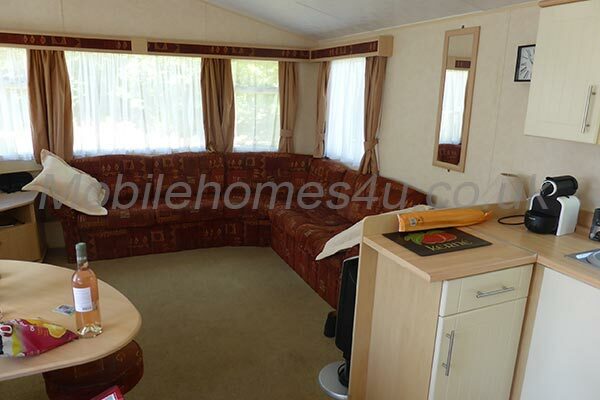 The caravan is fully central heated and has double glazing. 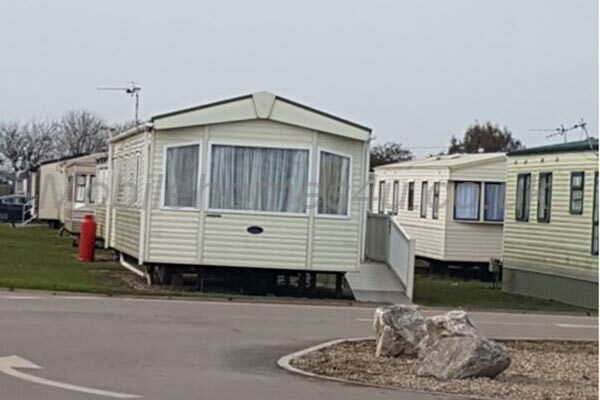 Hoburne Cotswolds is located close to the pretty Cotswold village of South Cerney.The park has a leisure complex, kids clubs, entertainment complex, multi sports courts and fitness suite. 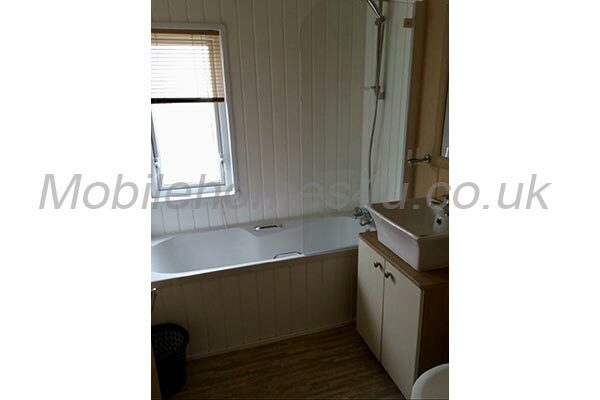 Cheltenham, Gloucester and Bath are all within striking distance. 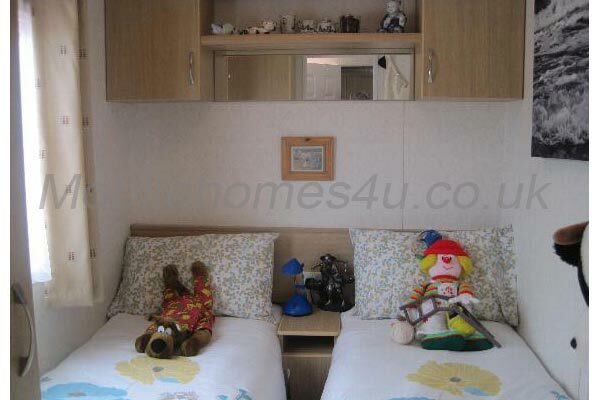 Adam’s Cotswold Farm is nearby, as is the Cotswold Country Park with loads to do for all ages. 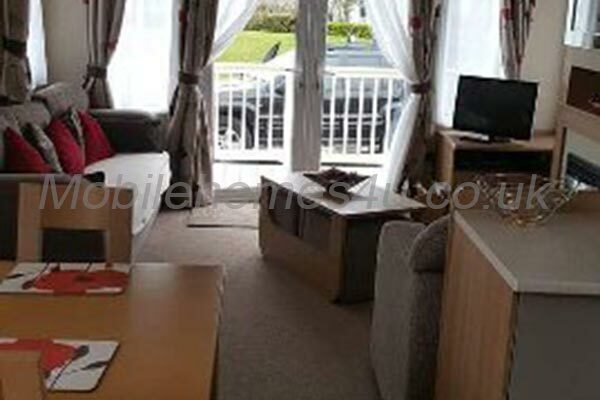 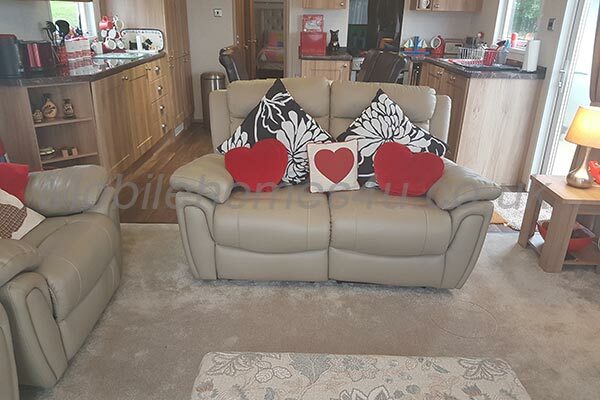 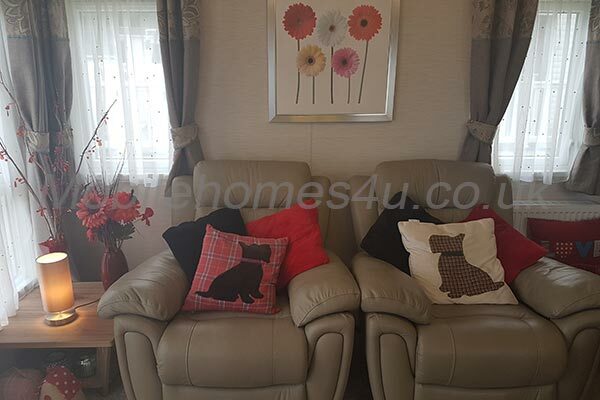 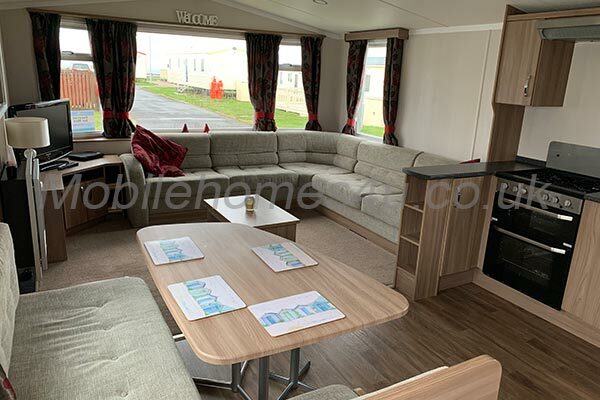 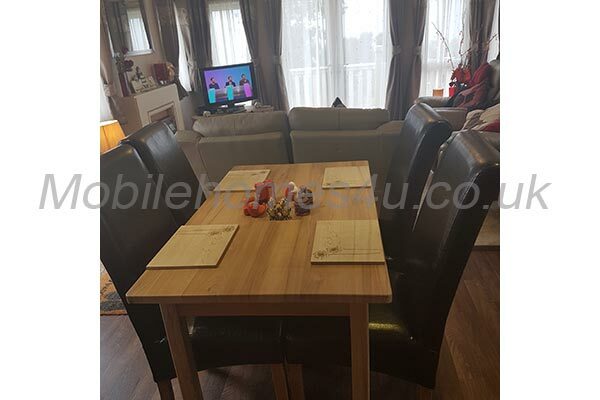 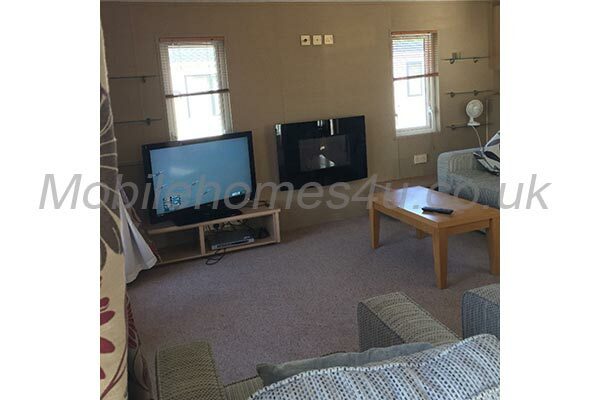 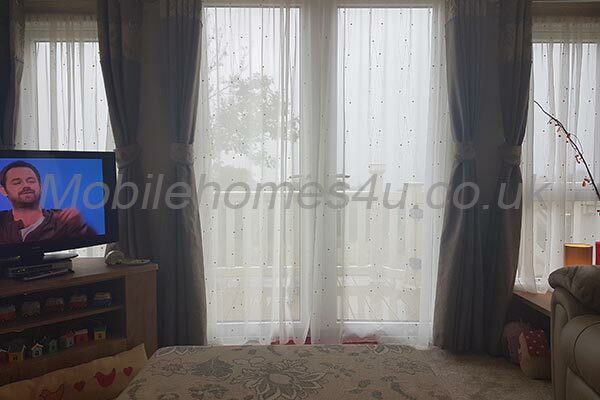 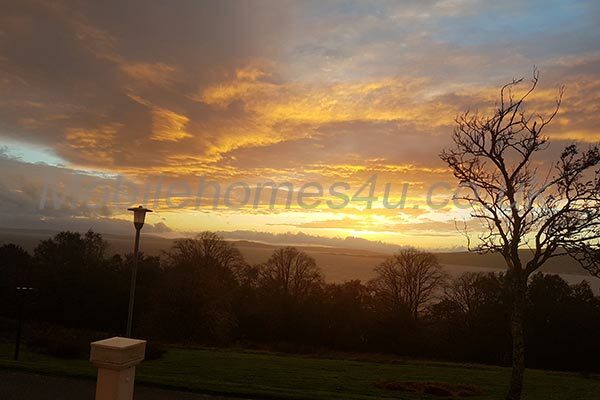 The spacious modern living room has comfortable sofas, TV DVD player, gas fire and a sofa that converts to a bed for extra occupancy if needed. 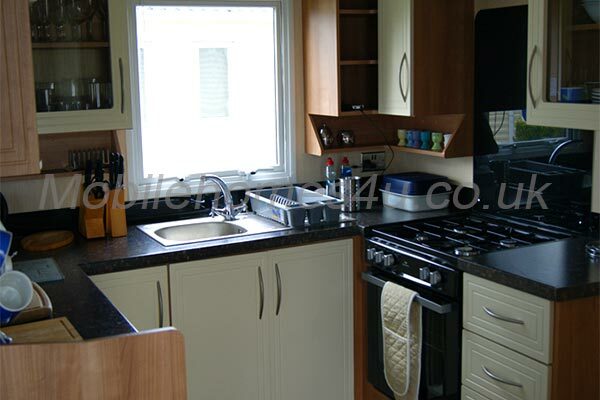 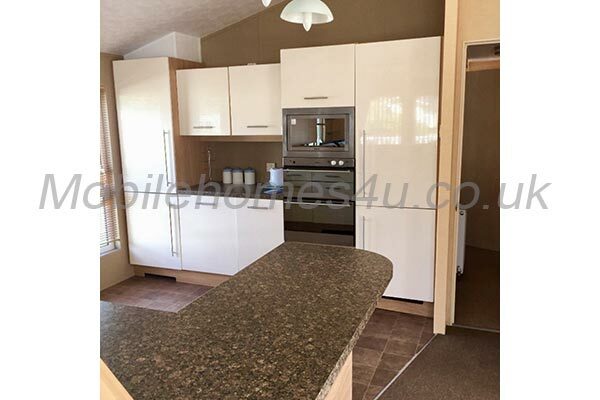 The modern kitchen is fully equipped with fridge freezer, microwave and toaster. 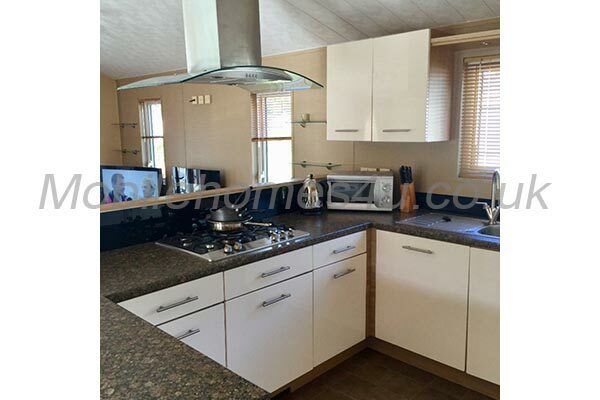 The kitchen also has a dining area and doors that lead onto the veranda. 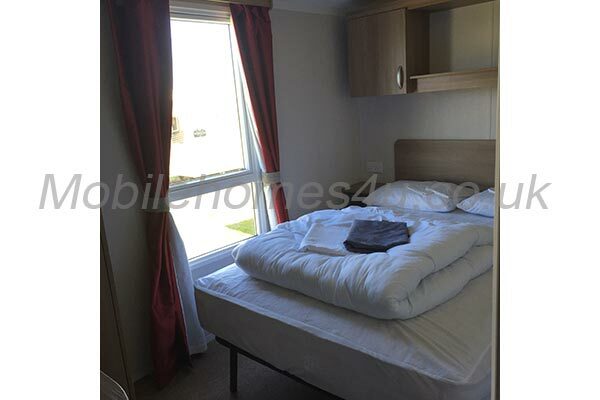 The double bedroom has a king size bed and twin beds in the second bedroom. 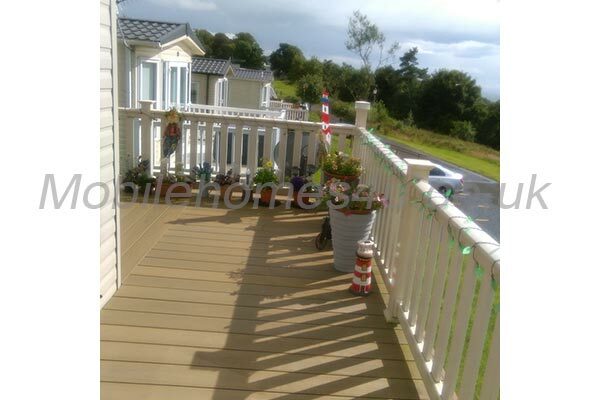 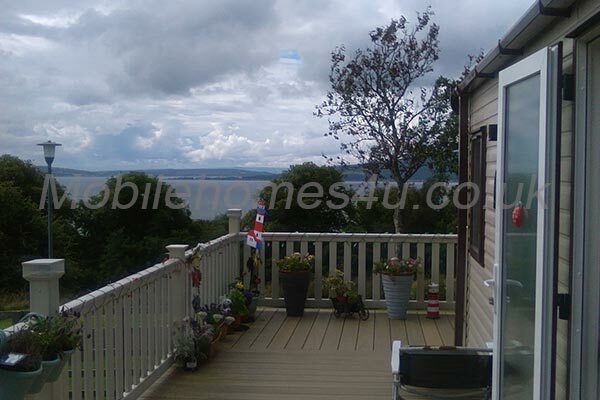 Outside has decking with seating overlooking a pleasant open space. 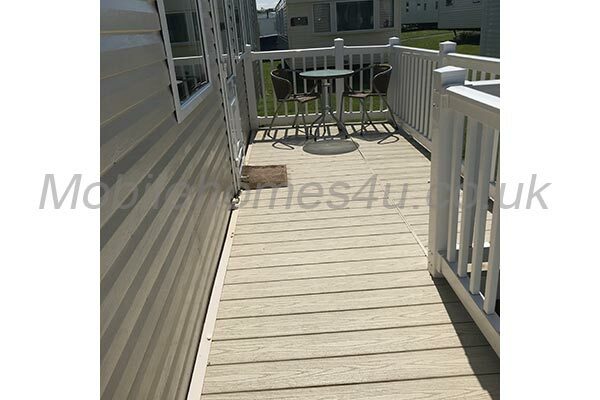 There is a lockable gate to ensure little children are safe from wandering off! 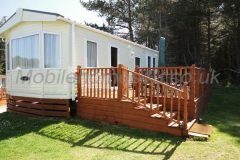 There is also a parking bay. 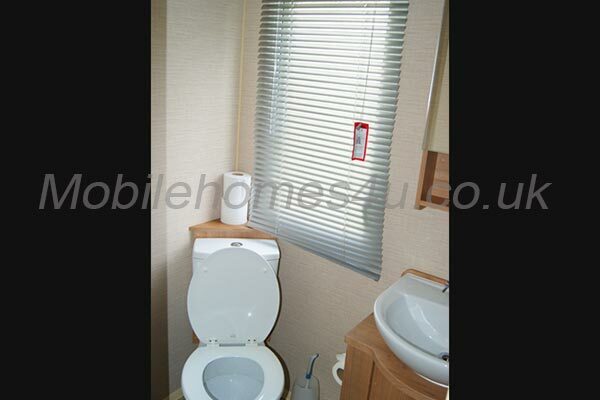 Please note we do not provide towels. 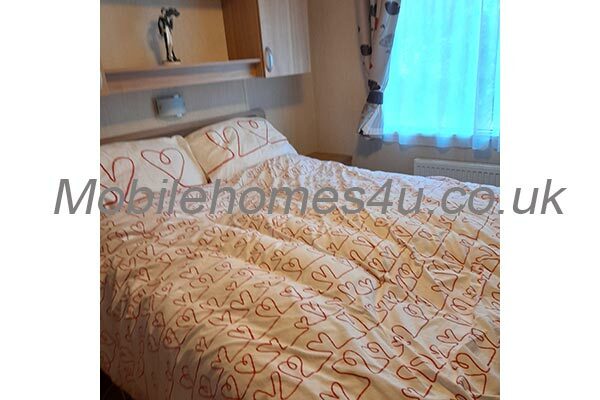 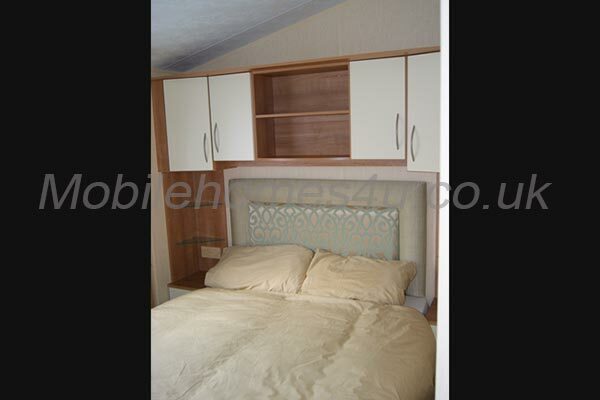 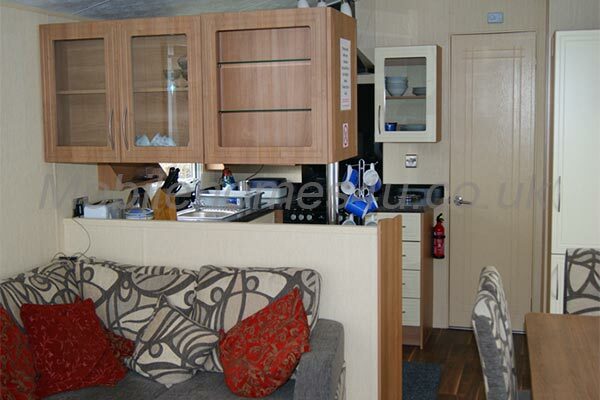 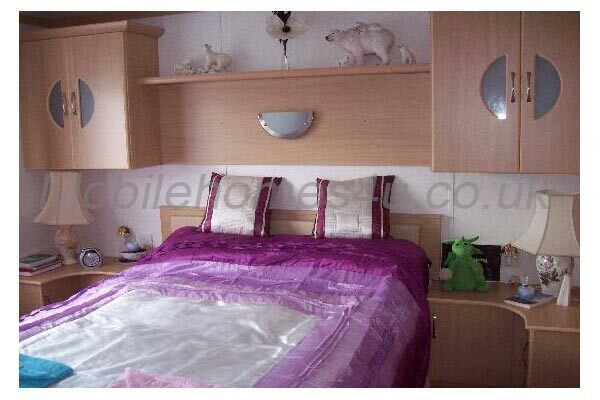 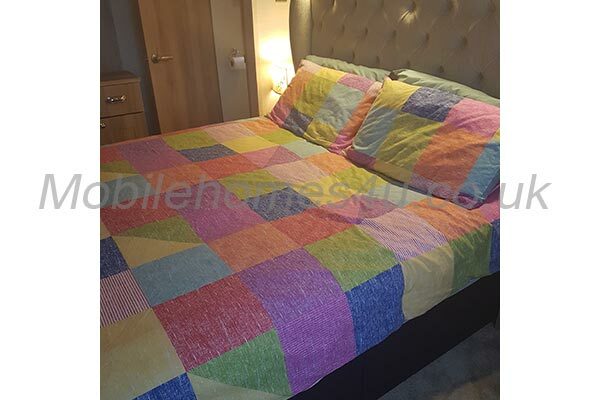 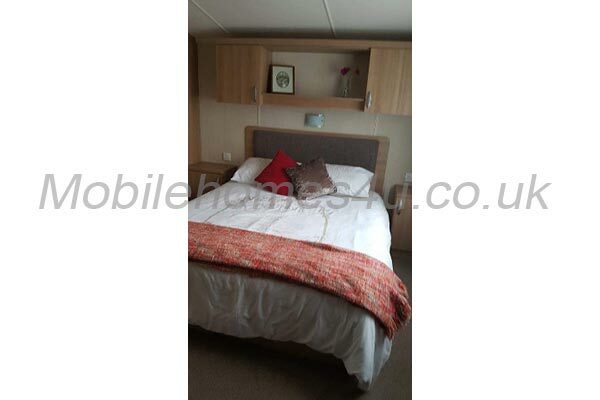 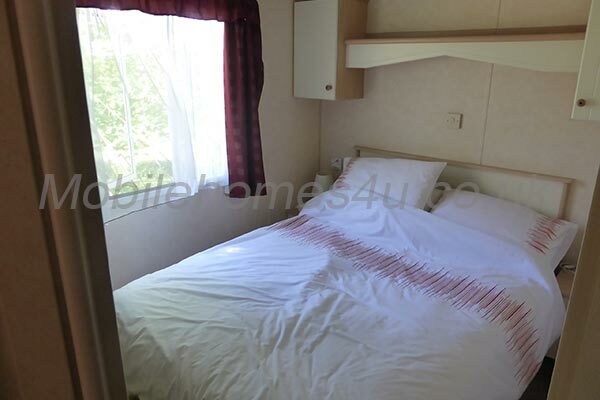 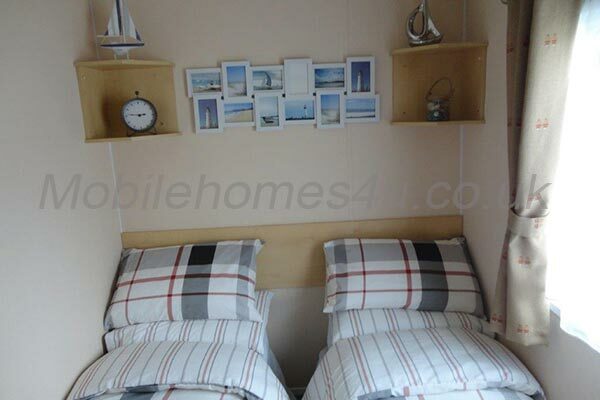 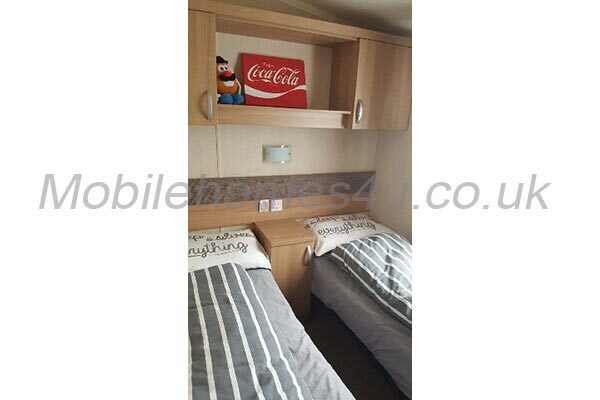 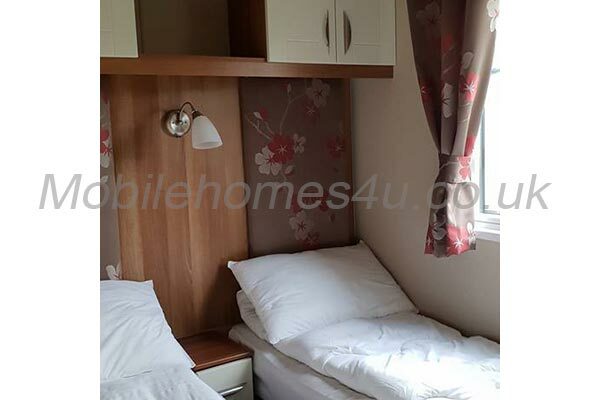 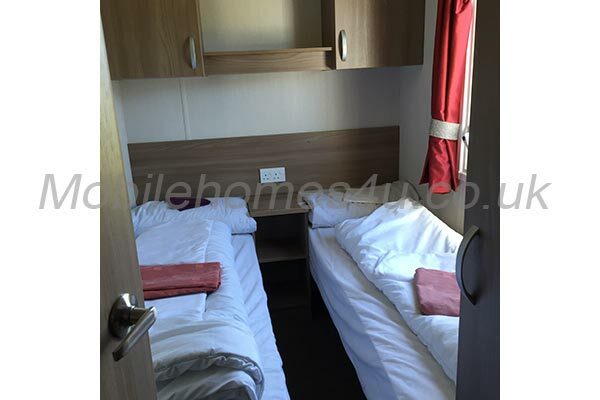 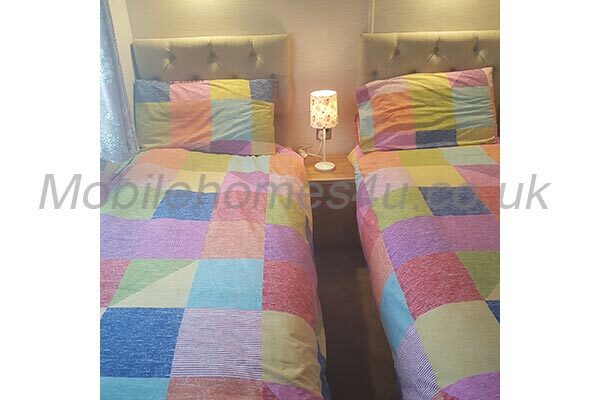 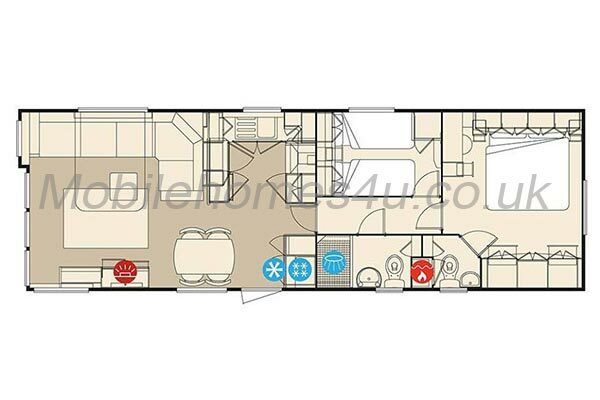 We have endeavoured to make our caravan as comfortable as possible with good quality bed linen and accessories. 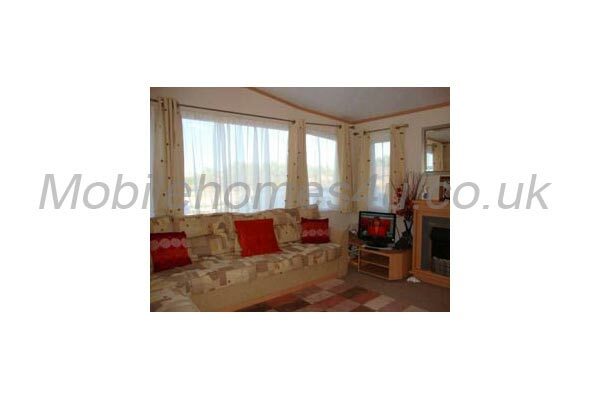 We have electric central heating and hot water. 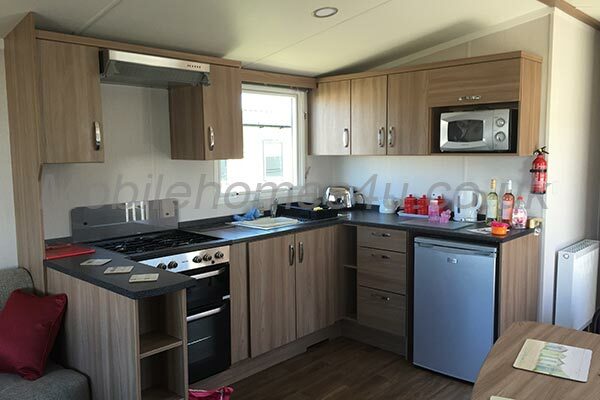 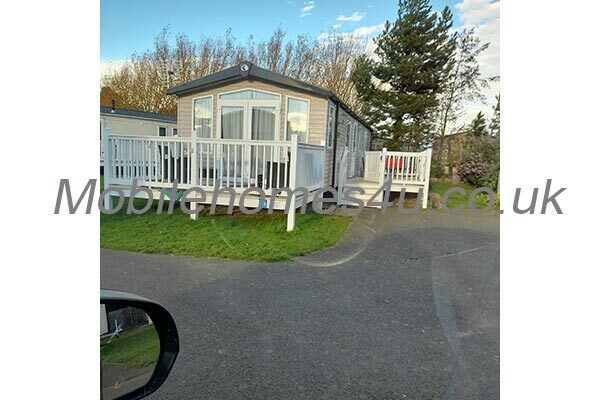 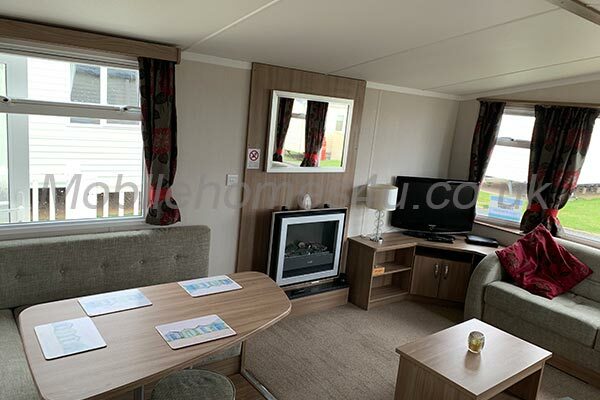 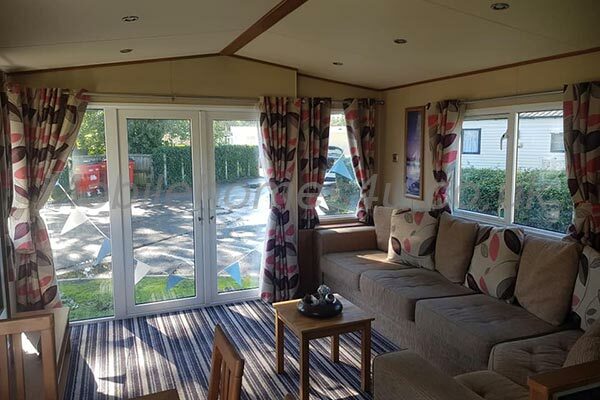 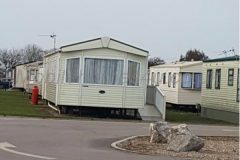 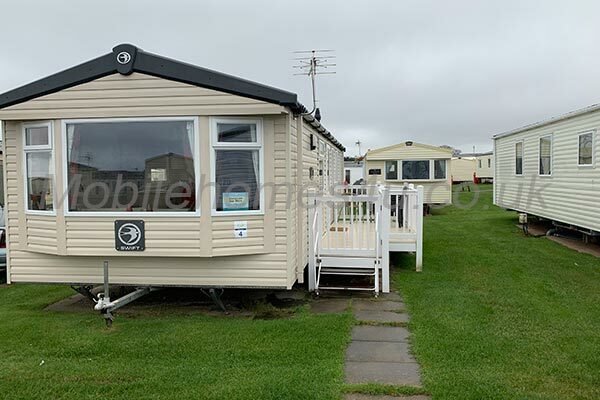 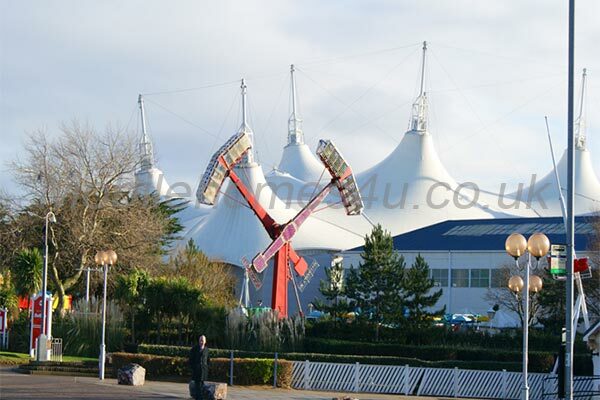 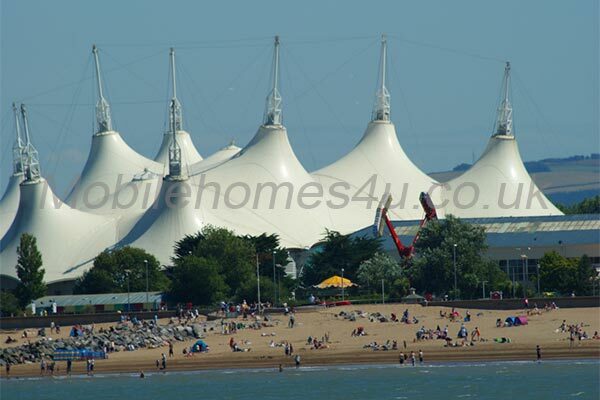 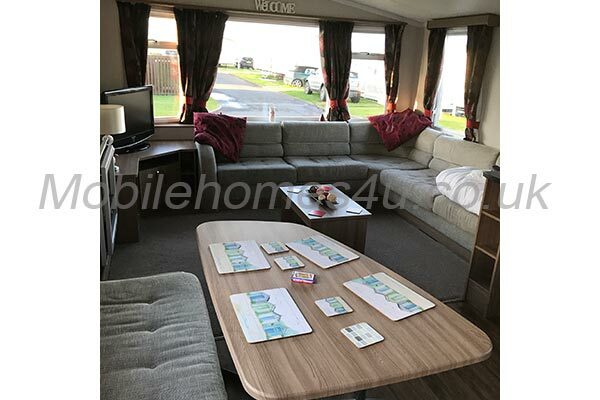 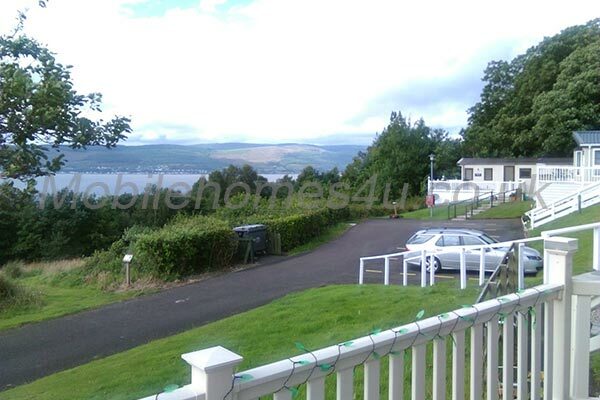 Refundable £100 booking fee is required and returned 1 week after end of stay, provided there is no damage or evidence of the caravan having been smoked in. 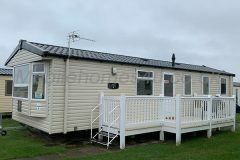 Prices above are per week. 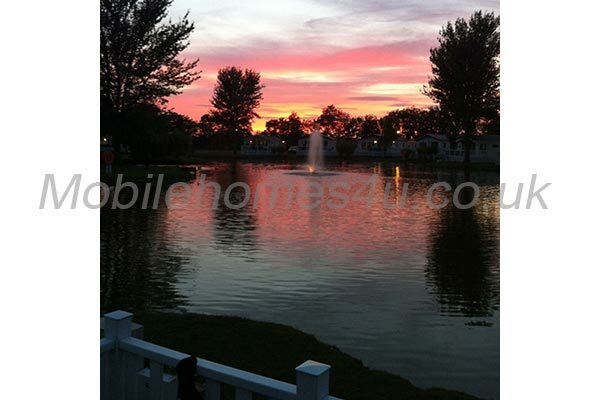 Payment in full is due one month prior to your stay. 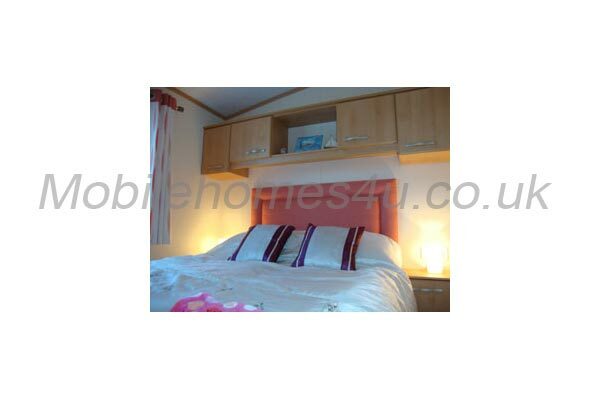 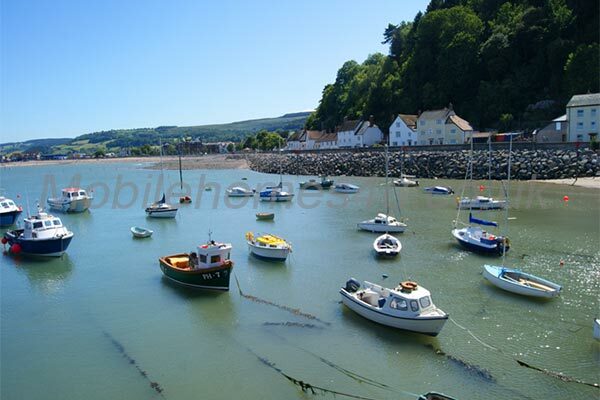 Late cancellation terms apply.